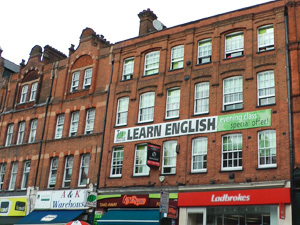 Linguaenglish London is a family-run English language school and has been teaching English courses in London for over 10 years. Our team of high qualified teachers is very enthusiastic and, together with our administration staff, we will provide a comfortable and inspiring environment where you will receive a high standard of courses and services. After class you can study in the Study Lounge or relax with free tea and coffee and practise your English. 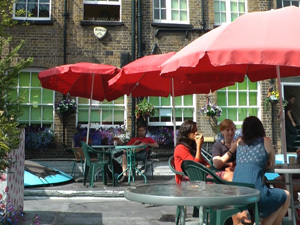 We also have a roof terrace where you can hang out with your fellow students. 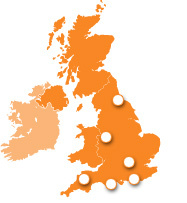 Our premises are comfortable and fully equipped. We offer spacious class rooms and small groups. There are computers with Internet and also WIFI is available. 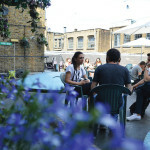 The School is situated on bustling Camden High Street, one minute away from the underground station and only a few minutes away from Regent�s Park and Camden Lock Market. Camden is famous for the music scene and is an exciting and lively area, with good shopping, clubs, pubs and cafes, and we are very close (5 to 10 minutes) to the absolute centre of London.